5 bedroom house rental Rhone-Alpes, Ardeche, Viviers, France. Charming 5 bedroom house rental sleeps 14 guests situated in a tranquil location close to activities and attractions in Viviers, France. Entre Deux Ponts is a peaceful paradise, situated North of Provence and a short drive to the Mediterranean Sea. Offering modern facilities throughout and magnificent views of the surrounding nature. 2 bedroom Villa rental in Vallon Pont d`Arc/Rhone-Alpes/France. This charming 2 bedroom villa sleeping 4 people is situated at Vallon-Pont-d`Arc one of the most beautiful sites in France. 6 bedroom luxury house rental situated in Rhone-Alpes, Ardeche, Largentiere. The Mas de Jeanne can accommodate up to 18 guests and is situated in a beautiful tranquil location. WIFI Internet. Holiday rental Cottage in Les Salelles,Rhone-Alpes, France ~ 3 Bedroom cottage. Beautifully restored 3 Bedroom farmhouse with a swimming pool and wonderful views over the river and vineyards. Superb 6 bedroom Chassiers Holiday Home rental in Ardeche, France. Mas d’Alice is a charming house rental can sleep 16 guests situated just 5 minutes walk from the pretty village of Chassiers. 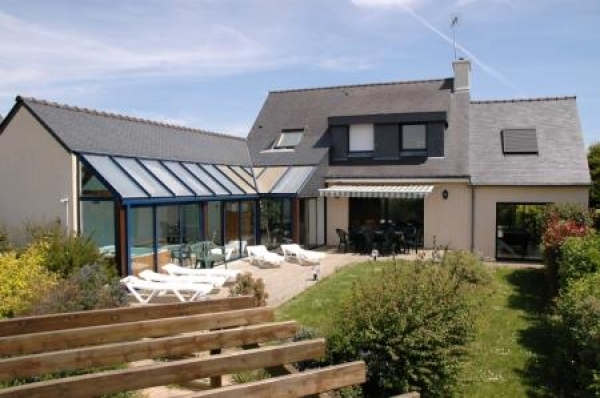 Self catering Banne holiday cottage rental with Pool. situated in the quiet hamlet of Pigere, small commune located 4 km away by a little road typical of the Ardeche department. South-facing. 2 bedroom house rental Rhone-Alpes, Ardeche, Largentiere. La Maison d'Hermine is a 2 bedroom house rental can sleep 6 guests and is situated in the Ardèche. WIFI Internet.